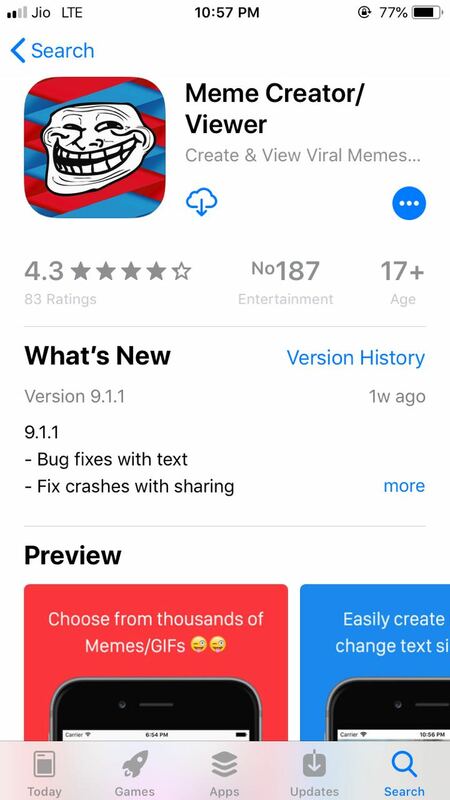 Top 12 Meme Creator Apps & Websites For Meme Makers | Wotpost. Memes are everywhere on the web these days. Meme can be any idea or concept expressed in a humorous way it can be an image, video, GIF, song, fictional character, actor, movie, belief, state of mind, action or any person etcetera. Have you ever wondered where these famous memes come from? Well, when a topic is broad enough to be considered relatable to the majority of people, it gets shared all over the internet. Most of the memes are created from famous movies e.g.- memes on a famous scene in titanic movie. There are a lot of meme generator apps and websites available on the internet so let’s shed some light on the Top 12 out there. 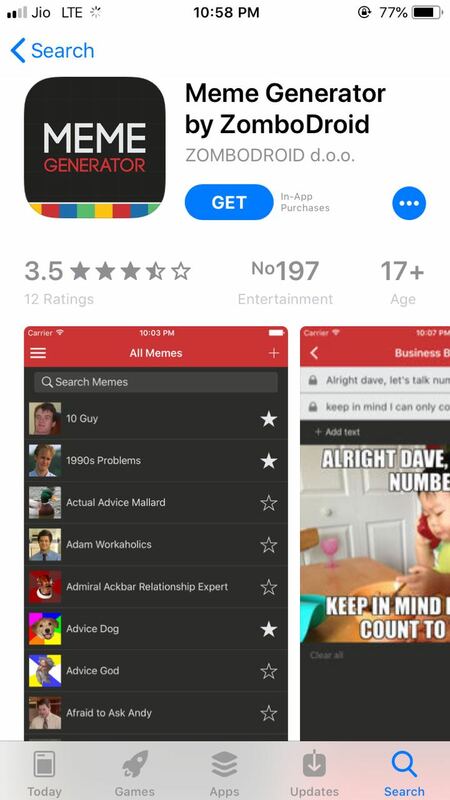 This app will definitely come in handy if you are just trying your meme game and want to make post easily and efficiently. 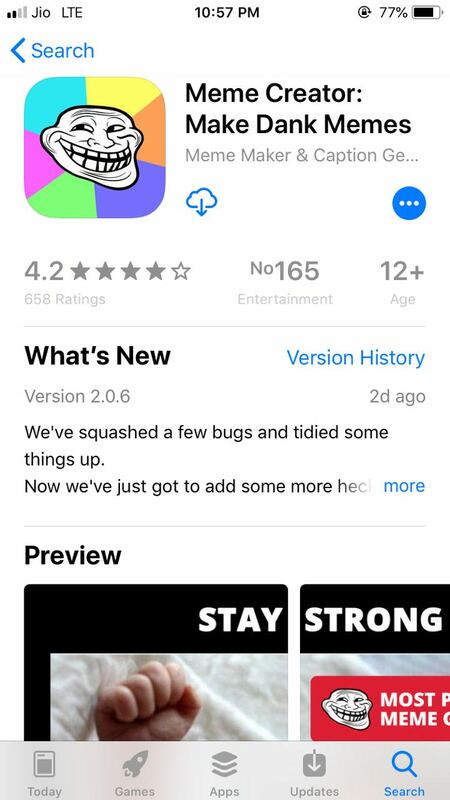 The login to this app is optional and you can choose from thousands of gifs/memes to easily create memes by changing the text size and color. Here you can also share it across different social media platforms or create a meme with your own photos too. One of the most popular meme generators where you can choose from three different styles of memes. User can put his/her text on their meme to make it funnier. You can use different fonts and colors and add captions, stickers or lol faces to your pictures. 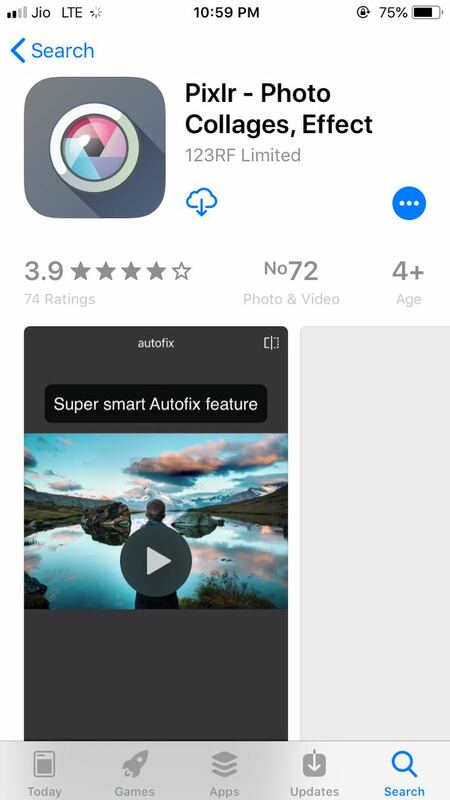 This one is new but really good app available on the market. It has more than 100 high quality memes which one can choose from or you can simply choose the picture from your gallery and add text of different fonts and colors. Another Newbie makes the list. This one allows you to make memes easily and fast. You can use multiple images or use your own photos from the gallery. Here you have auto text sizing along with popular memes added regularly. Well this one is big. 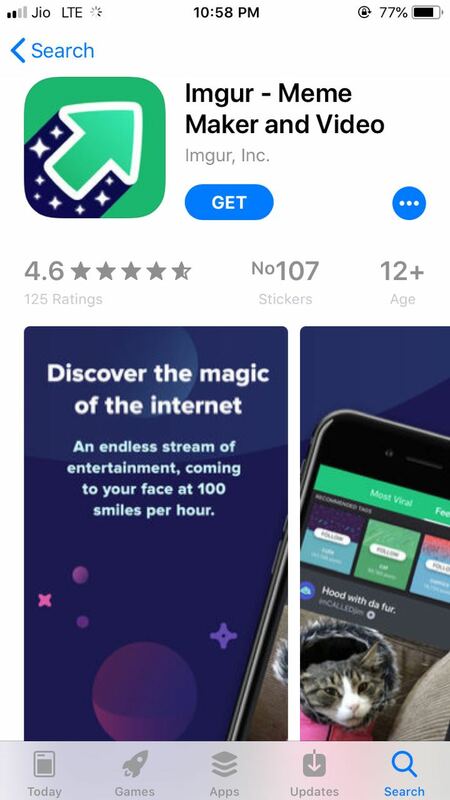 It is a whole community of people who share their videos or memes with the world through this app. Here one can upload, trim and share videos up to 30 seconds long with the community with the option to include or remove the sound from the video. 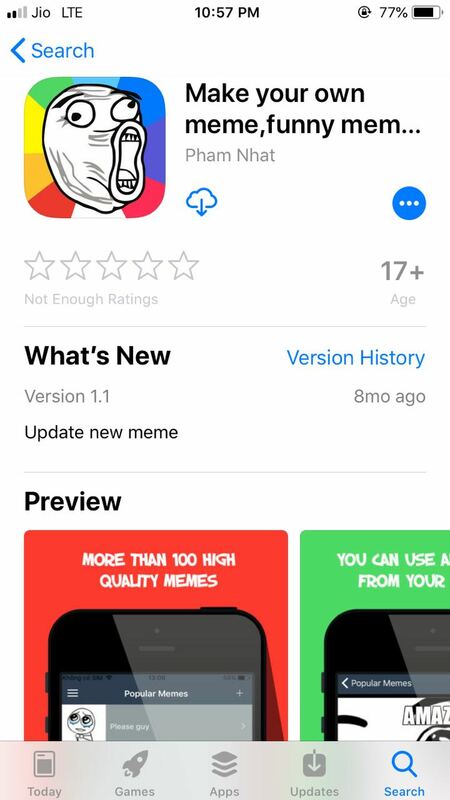 Moreover people can create their favorite memes directly from this app by using classic templates provided or using their own photos. Another popular app available on the internet is the meme generator. Here you can create the funniest memes and share them with your friends on social media. Furthermore, there are a lot of meme categories with more than 500 high quality memes with sample captions. Moreover, you can use your own pictures and add different font or color text to it. 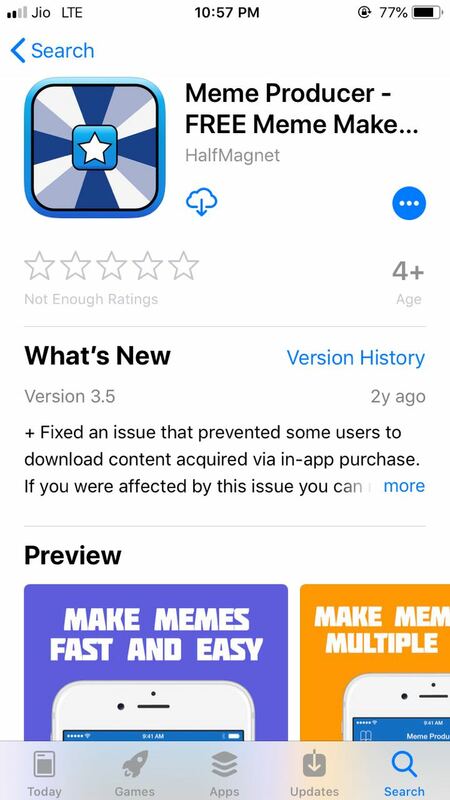 App will not upload any meme or photo automatically and you can create your own favorite meme series. Well this one is more of a photo graphics editor than a more specific meme creator. This is useful if you want to create original and authentic memes that are not available on the internet with any help or using a similar idea. This can be seen as a disadvantage as the only help you get is from the ideas you had in your mind. This can also be helpful to twerk pre-existing memes using the different editing tools available on the app/website. It is a tremendously fast meme generator which will allow you to make meme easily on your cellular device where you can easily add text to your images or memes. This meme creator portal is both available as an application as well as website. Here with easy access to every tool one can make different meme using plethora of text font and colors. It is also available in apps. What’s different about this website is the different types of tools available for different types of memes like quick meme, gif maker, meme builder etc. You can also explore the different memes to get some ideas and build one using different provided images or templates. With the super quick and easy to make user friendly website, this app was able to make its way to the list. One can easily choose the platform and create new meme easily using pre provided templates etc. It is actually a app for both MAC and Windows. With over a 100 templates and option to use your own image this one is very easy to use. You can either upload your memes or print them directly from the app.